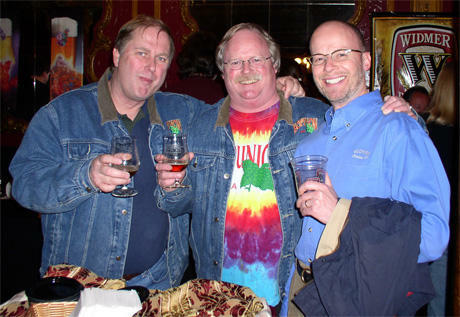 Today is the 52nd birthday of Jim Parker, who’s been a fixture in the Colorado, national and Oregon beer scene for over 25 years. 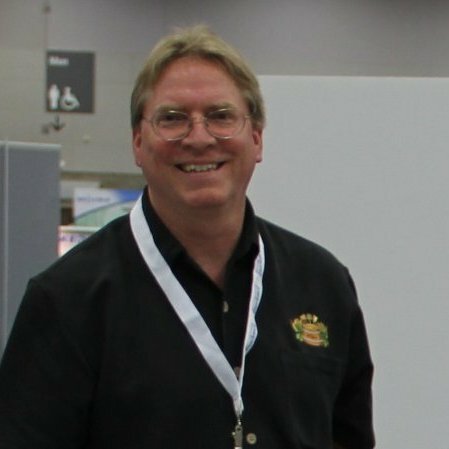 He founded the Mountain Tap Tavern in 1992, in Colorado, and also worked for the IBS (formerly part of the Brewers Association), was director of the American Homebrewers Association, editor-in-chief of Zymurgy and New Brewer, Executive Director of the Oregon Brewers Guild, as well as starting and working at mant different breweries. Jim was also the first person I know to put Tot-chos on a menu, and for that alone he gets into heaven in my book. Jim is a terrifc person and very passionate about beer. As you may, or may not, have heard, last month Jim suffered a sever stroke and is currently in rehab, with a long road to recovery ahead of him. Today at Belmont Station, co-owner Lisa Morrison is hosting a fundraiser for Jim, who is expected to be there. So if you can make it, please support Jim’s recovery. Jim’s family has created a GoFundMe page to help out with Jim’s large expenses for his treatment. Please donate generously if you’re able. And by all means, let’s raise a toast to Jim today, as we we wish him a very happy birthday. 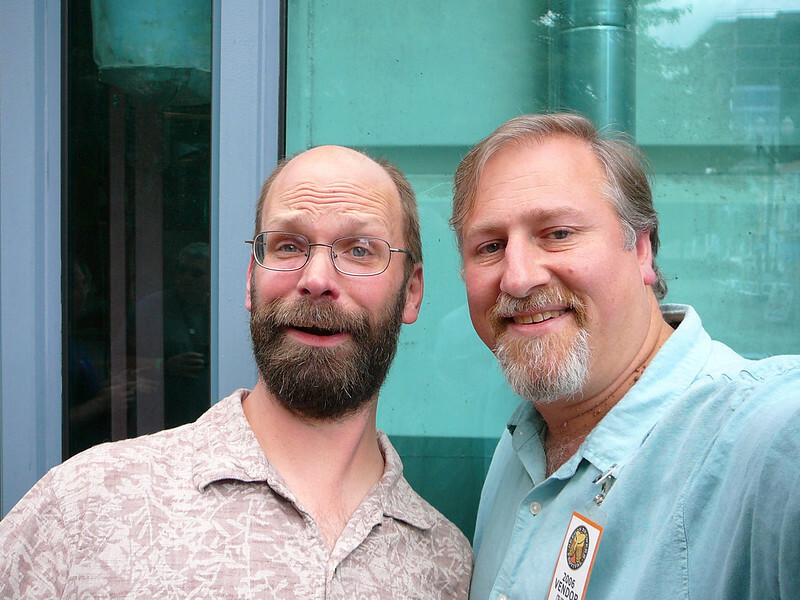 Jim and me over ten years ago at the Full Sail Smoker during OBF. 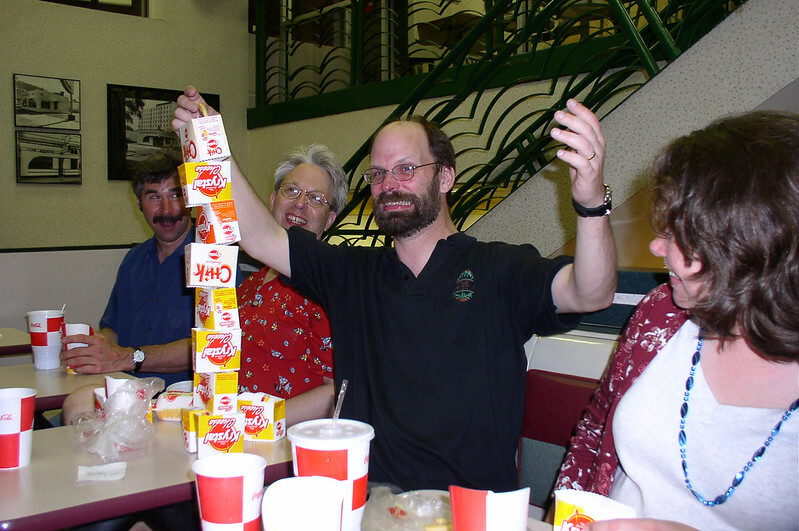 Late night adventures in New Orleans, when the Craft Brewers Conference was there in 2003, stacking burger boxes at a local fast food joint. At a different Full Sail Smoker, talking with Dave Hopwood, whose birthday is also today. 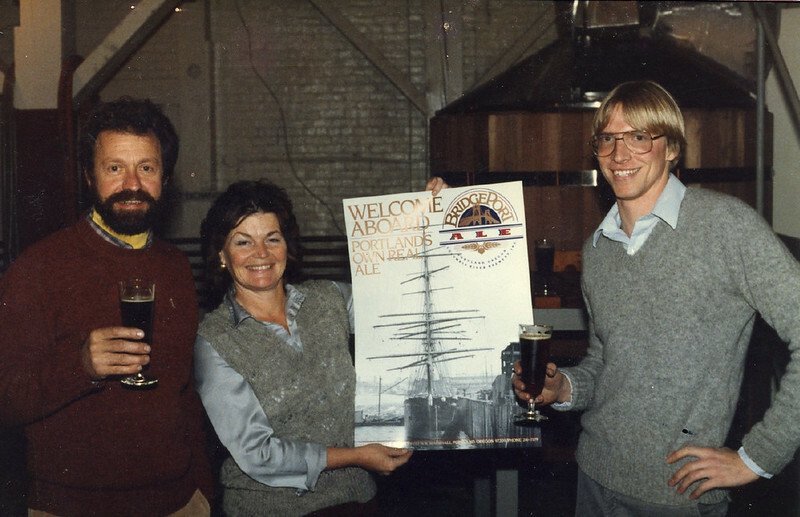 The original rogue, Jack Joyce, who founded Oregon Brewing — better known today as Rogue — would have celebrated his 76th birthday today. Sadly, he passed away in late May of 2014. Join me in drinking a toast to Jack’s memory today. 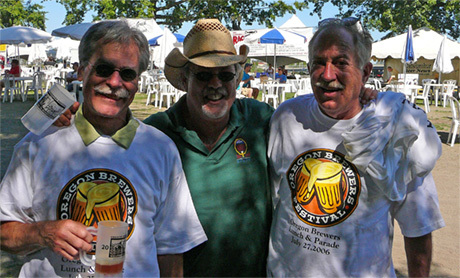 Jack (on right) at the Oregon Brewers Festival with Fred Bowman, co-founder of Portland Brewing and Tom Dalldorf, Celebrator publisher. 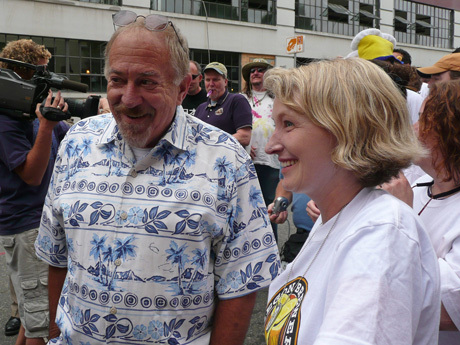 At the OBF Parade in 2007, Jack Joyce with festival organizer Chris Crabb await the arrival of the mayor. 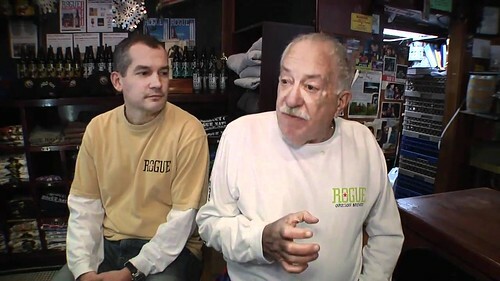 Brett and Jack Joyce from an interview by World Class Beverages in 2010. One of the best photos of Jack I’ve seen. This was taken by Leah Nash for a New York Times article entitled Food and Fuel Compete for Land. 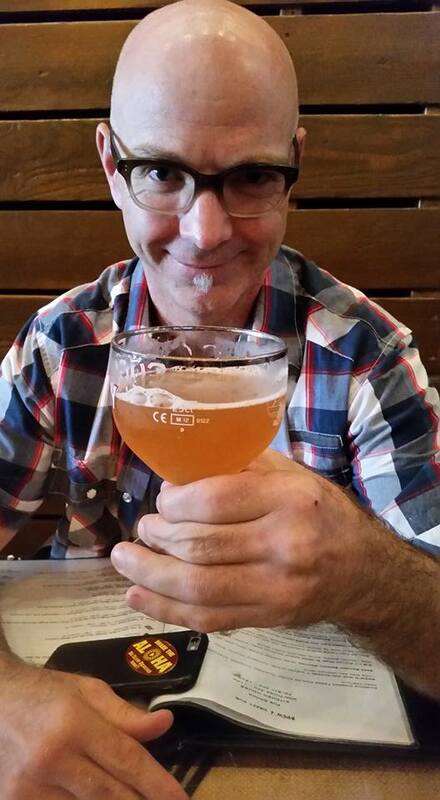 Today is the 45th birthday of fellow beer writer and aspiring brewery owner Christian DeBenedetti. 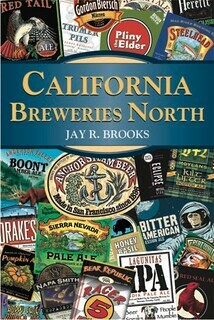 In 2011, he wrote The Great American Ale Trail and you can check out a lot of his other work online. 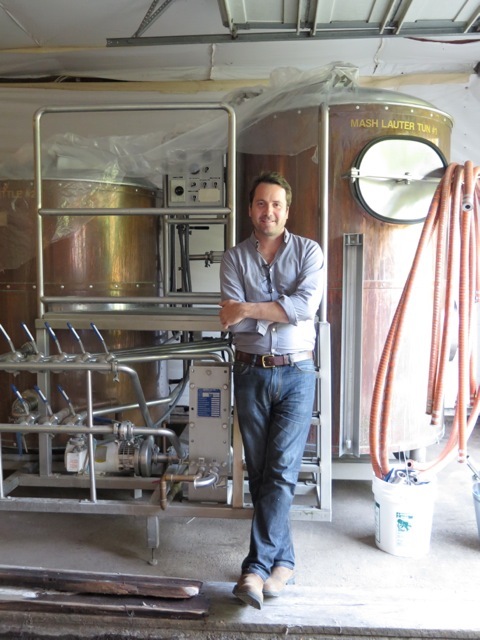 His latest project is building a brewery on his family’s property, Springbrook Farm, and it’s called the Wolves & People Farmhouse Brewery. It’s now been open a short time, and just added food, too. Join me in wishing Christian a very happy birthday. 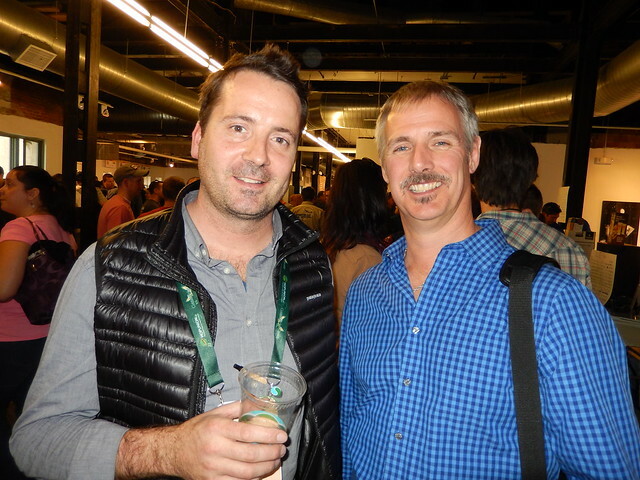 Christian with Stephen Beaumont at the Denver Rare Beer Tasting in 2013. 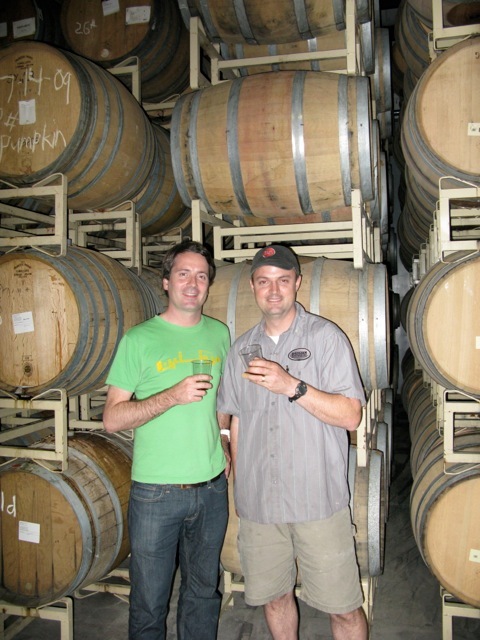 With Vinnie Cilurzo in the barrel room during a visit to Russian River Brewing. 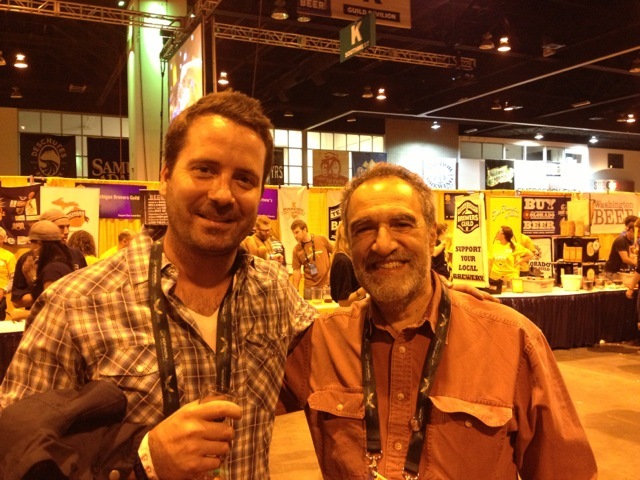 With Charlie Papazian at GABF. 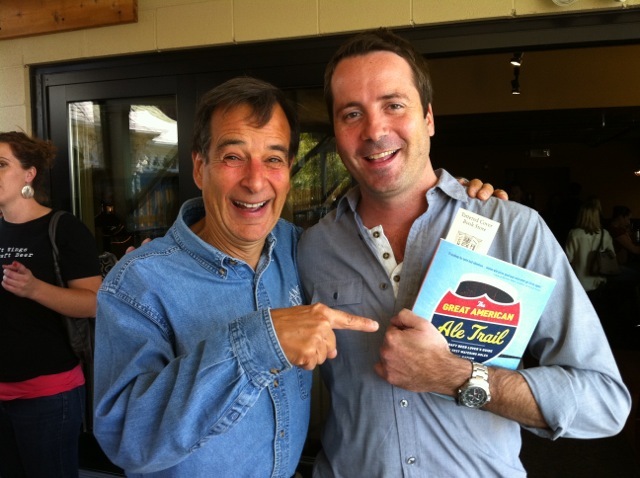 With Jim Koch at Ale House at Amato’s for the book release party for the Great American Ale Trail, during GABF in 2011. In front of the brewhouse at Wolves & People Farmhouse Brewery, his brewery. 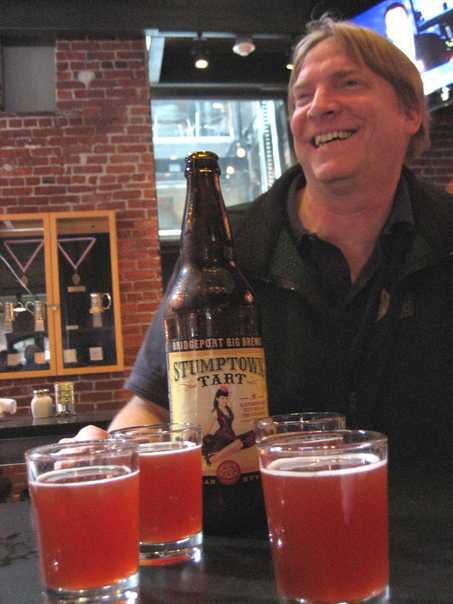 Today is the 51st birthday of Darron Welch, brewmaster at Pelican Pub & Brewery in Pacific City, Oregon. Darron has something like a gazillion awards for his beers, including “Brewer of the Year” seven times (at GABF in 2000 and 2005 for small brewpub and in 2006 and 2014 for large brewpub; and at the World Beer Cup in 2008, 2012 and 2014 for large brewpub or small brewery). 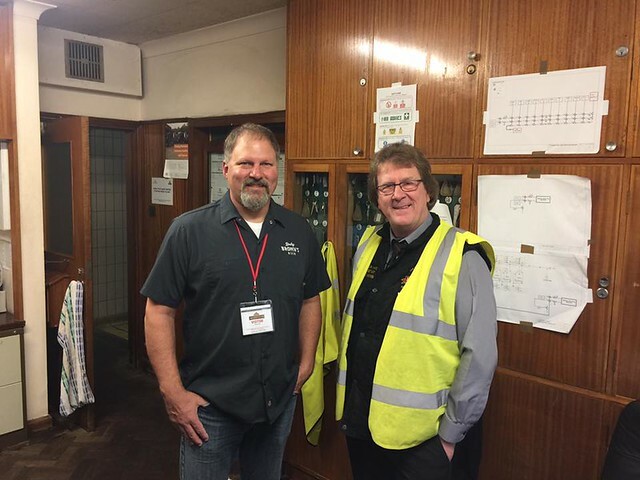 In addition to being a great brewer, Darron is also a terrific person, as well. Join me in wishing him a very happy birthday. 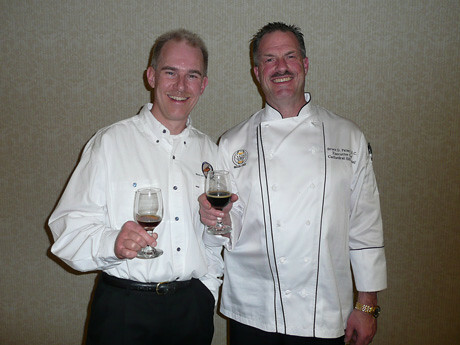 At a beer dinner at the Cathedral Hill Hotel in San Francisco several Januarys back, Pelican Pub brewmaster Darron Welch with the Beer Chef Bruce Paton. 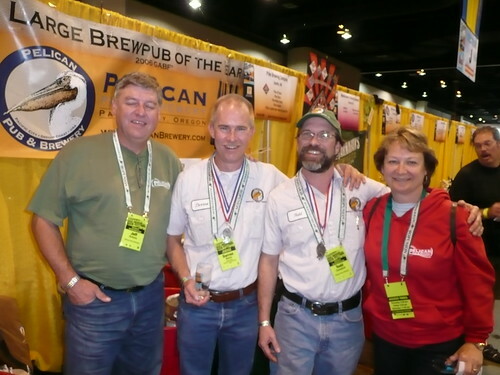 Darron and the gang (including Ben Love at far left) from Pelican Pub & Brewery winning Gold for their Kiwanda Cream Ale at GABF in 2006. 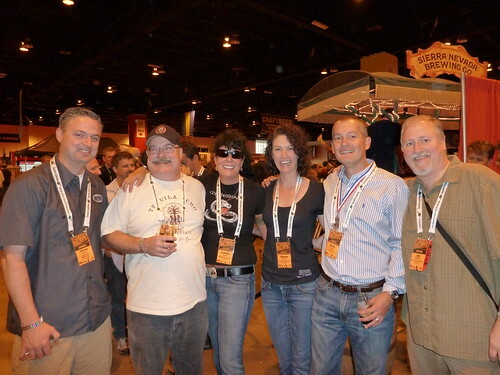 Darron, again with the Pelican Crew, this time at GABF in 2009. 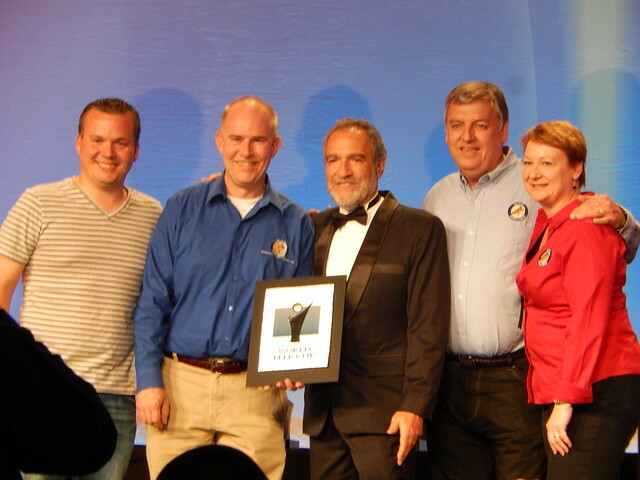 On stage accepting one of his awards at the World Beer Cup in 2014. Today is the 46th birthday of Brett Joyce, who recently stepped down as President of Rogue. 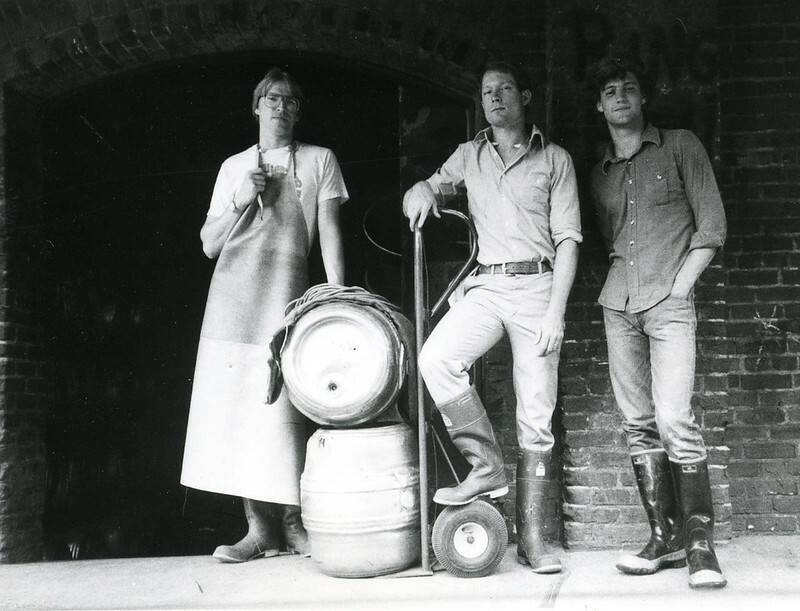 Joyce grew up in the brewery, which his father Jack founded when Brett was sixteen. Having gone off to college and made a name for himself working with Adidas, building their international golf shoe business from the ground up, he returned to work for the brewery a number of years ago, and has been Rogue’s president since 2006. 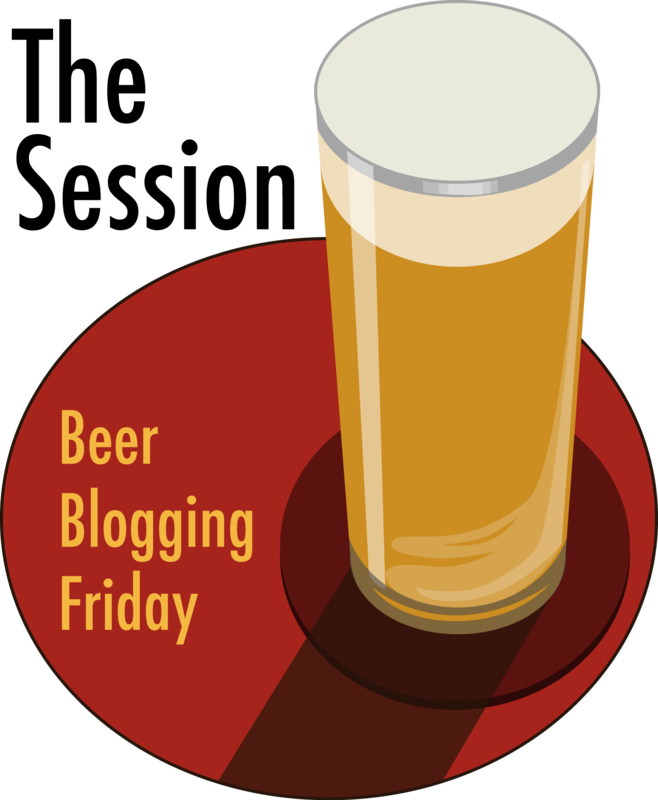 I’ve gotten to know Brett much better since his return, beginning with when I interviewed him a number of years ago for a Beer Advocate magazine article profiling him. 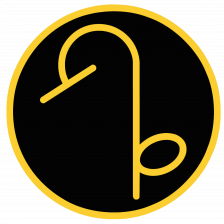 Join me in wishing Brett a very happy birthday. 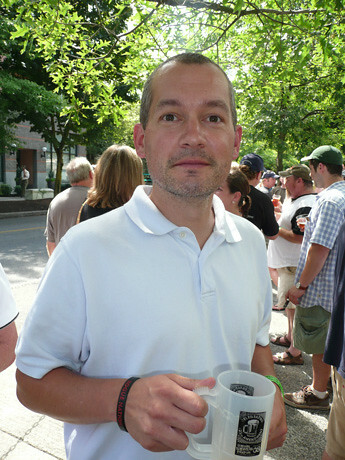 Brett at the Full Sail Smoker during OBF, after a quick interview I did with him for Beer Advocate magazine. At Dave & Jen’s wedding during GABF a few years ago: Vinnie, Dave, Jennifer, Natalie, minister Brett Joyce and me. 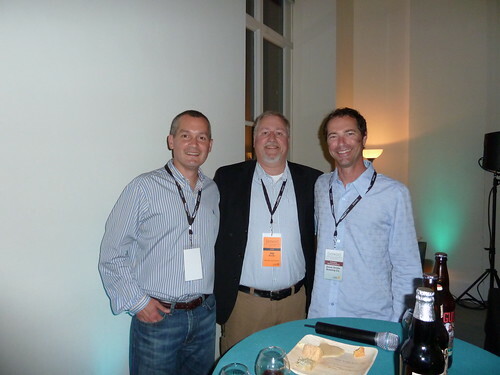 Brett, me and Brian Dunn, from Great Divide, at SAVOR a few years ago in Washington, DC. 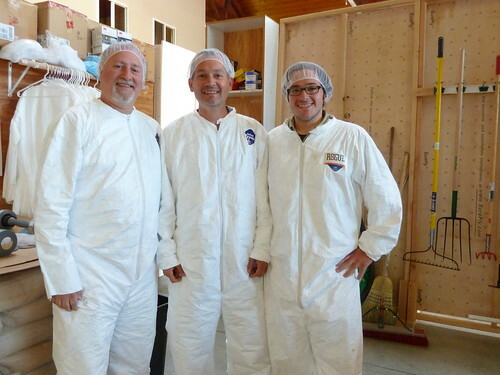 Me, Brett and Rogue’s maltster at their floor malting facility in Portland. Today is the 59th birthday of Karl Ockert, who most recently was the Director of Brewery Operations at Deschutes Brewing. 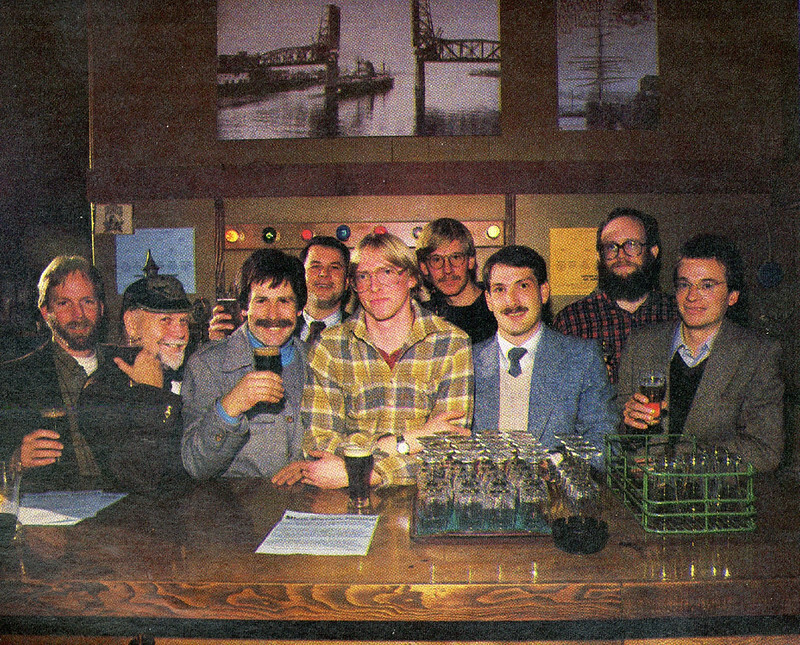 But Karl spent many years as the BridgePort Brewing Co. in Portland, Oregon, nearly thirty years, from 1983 to late 2010. That’s when I first met Karl, who was responsible for one of the first IPAs in the modern era, BridgePort IPA. 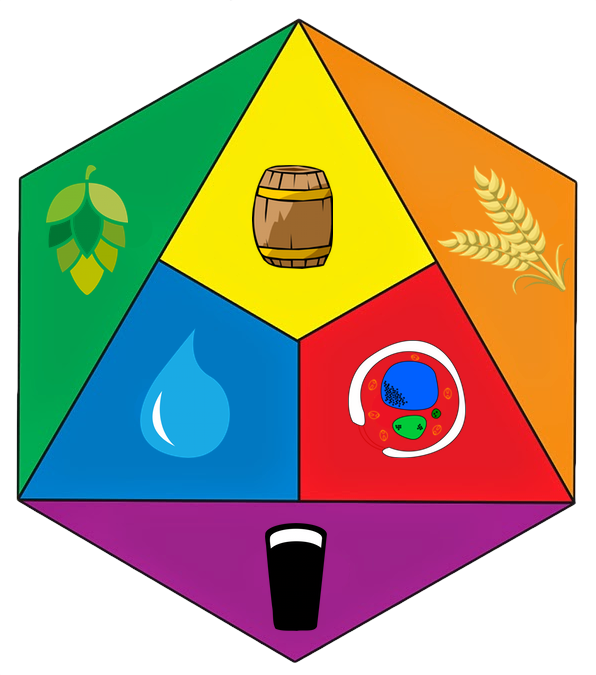 For the last few years he was the Technical Director of the MBAA and also did some brewery consulting, before joining Deschutes a few years ago. More recently, he’s doing brewing consulting. Join me wishing Karl a very happy birthday. Karl when he was with the MBAA. 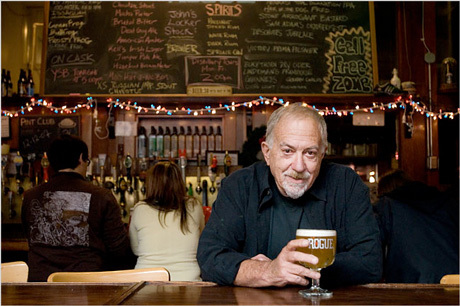 Today is the 62nd birthday of Gary Fish, founder of Deschutes Brewing in Bend, Oregon. Gary grew up in Northern California wine country, but relocated to Bend to start the brewery in 1987, opening the original brewpub the following year. 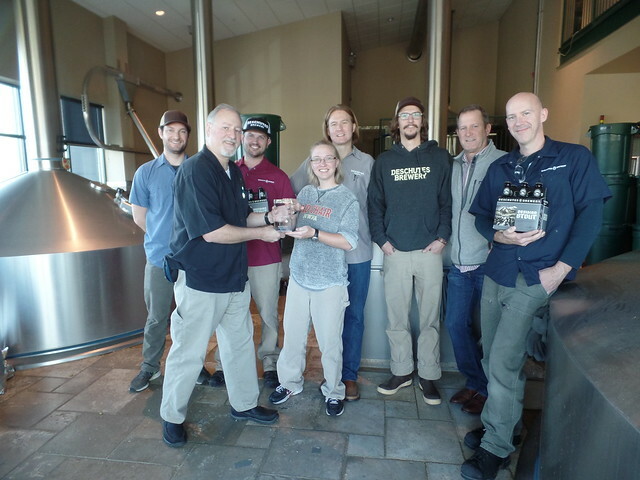 Since then, they built a production brewery and have gone on to open two additional brewpub locations, one in Bend and one in Portland. 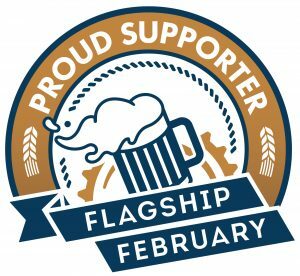 As of last year, they were the 5th largest craft brewery and the 11th largest brewery in America. Not bad for a brewery with a Porter as its flagship. Plus, Gary is a great person to discuss politics with, preferably over a beer. Join me in wishing Gary a very happy birthday. 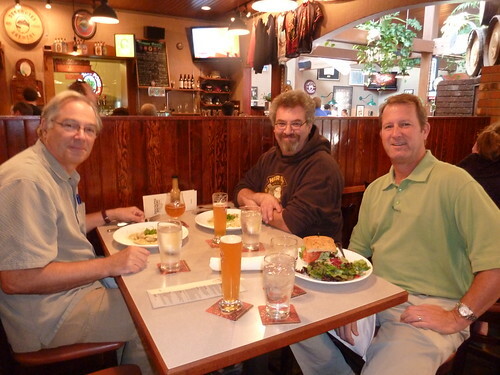 Larry Sidor, former brewmaster at Deschutes (and now at his Crux Fermentation Project), with Alan Sprints (from Hair of the Dog) and Gary at their downtown Bend brewpub when we visited there last summer on a family vacation. 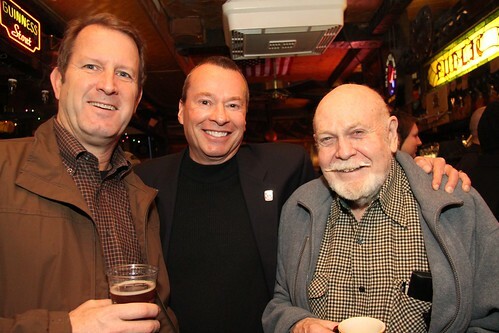 Gary Fish, Kurt Widmer (from Widmer Brothers) and beer writer Fred Eckhardt at Don Younger’s memorial (photo by Tom Dalldorf). 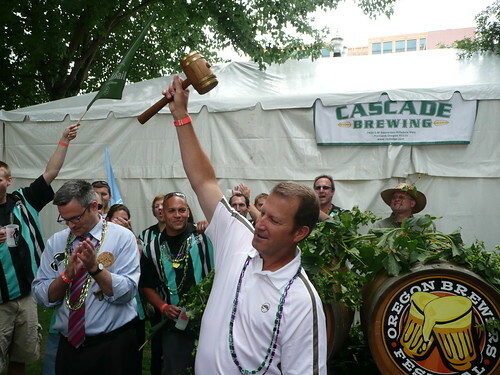 Gary accepting the OBF hammer after the parade in 2009. 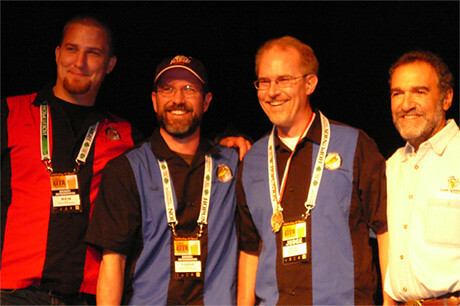 Presenting a World Beer Award for “World’s Best Stout” a couple of years ago in Bend to Gary and his crew at Deschutes. 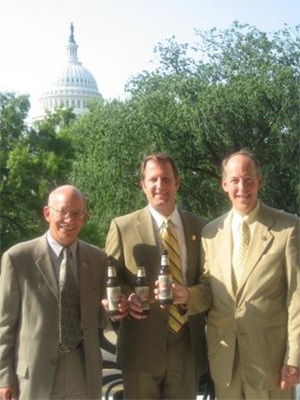 U.S. Representative Peter DeFazio, Gary, and Representative Greg Walden — all from Oregon — enjoying craft beer at a Capitol Hill reception when the Small Brewers Conference held their first meeting. Today is Rob Widmer’s 62nd birthday. Rob is, of course, one of the bros in Widmer Brothers. 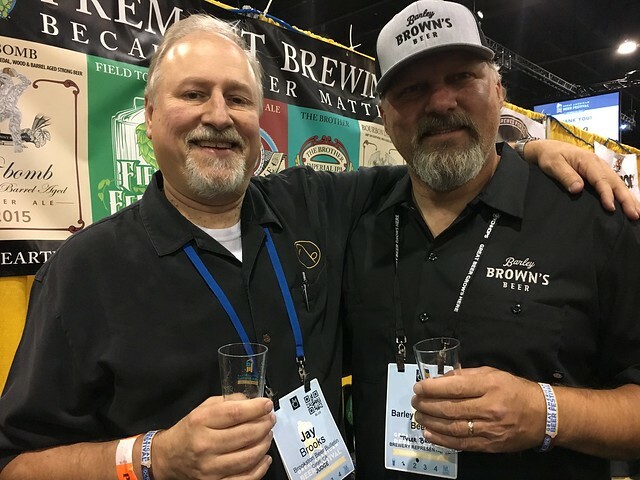 He and his brother Kurt helped found the Oregon Brewers Festival, created the style American Hefeweizen and are one of the few small brewers that have managed to retain their spirit and reputation as they’ve grown much larger. Join me in wishing Rob a very happy birthday. 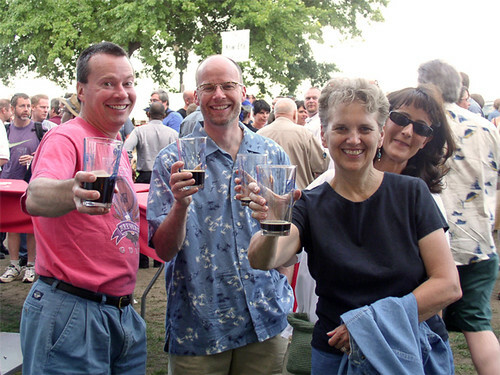 Kurt and Rob Widmer with ther wives at the Oregon Brewers Festival several years ago. 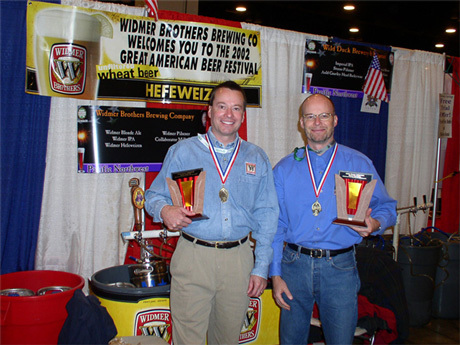 Kurt and Rob after their win for Mid-Size Brewing Company of the Year at GABF in 2002. 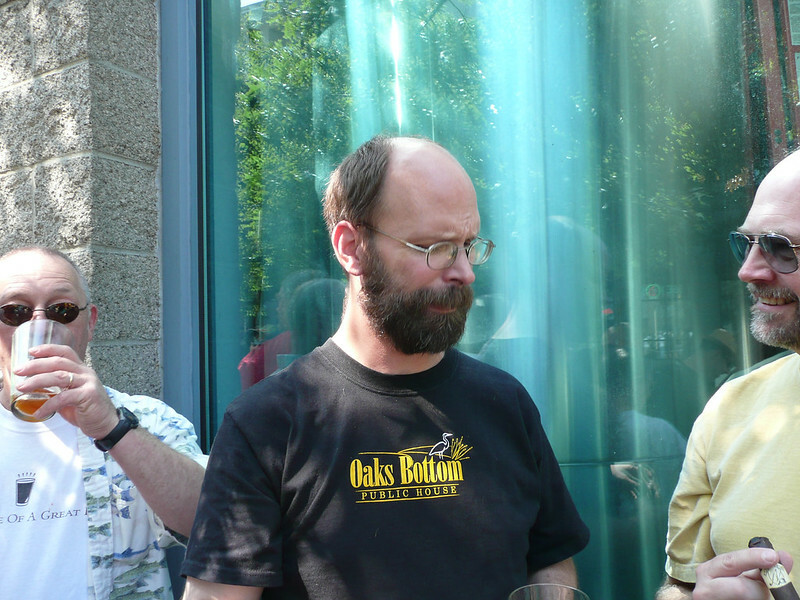 Rob with the Ralph’s (Olson and Woodall) from HopUnion at the 15th Anniversary Party for the Celebrator Beer News. 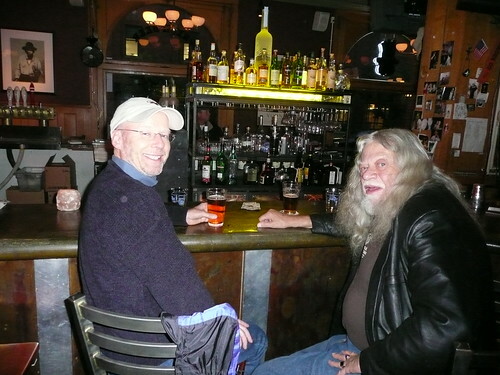 Rob with the late, great Don Younger at Wynkoop during GABF in 2009.